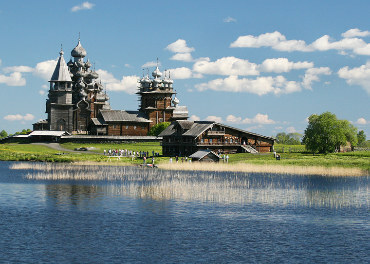 Karelia is known as the land of the rivers and lakes. Президéнта нáшей страны́ зову́т Дми́трий Медвéдев. Зимóй пти́цы улетáют в жáркие стрáны. In winter, birds migrate to hot countries. literal In winter, birds fly away to hot countries. В каки́х европéйских стрáнaх ты был? Вчерá я купи́ла энциклопéдию стран ми́ра. Онá хотéла поéздить по э́той прекрácной странé. She wanted to travel through this wonderful country. Brazil is a developing country. Peru is a mountainous country. Карéлию назывáют странóй рек и озëр. Karelia is called the land of the rivers and lakes. Зарубéжные стрáны не соглácны с пози́цией Росси́и. Foreign countries don't agree with the positions of Russia. Ты знáeшь каки́е стрáны принадлежáт к стрáнам трéтьего ми́ра? Do you know what countries belong to the Third World countries? Мнóгие арáбские стрáны богáты нéфтью. Many Arab countries are rich in oil. Москвá - головá, а странá - ру́ки и нóги. Moscow is the head and the country is arms and legs. Если áрмия сильнá, непобеди́ма и странá. If the army is strong, the country is invincible.